Sofia Rough is a sans serif typeface created by Olivier Gourvat and published by Mostardesign that is based on Sofia Pro with some differents eroded variations. It comes in 16 fonts and two eroded sub families (Black and Script). You can mix them and use it in many applications. Also it will help you more than 80 extra graphics. 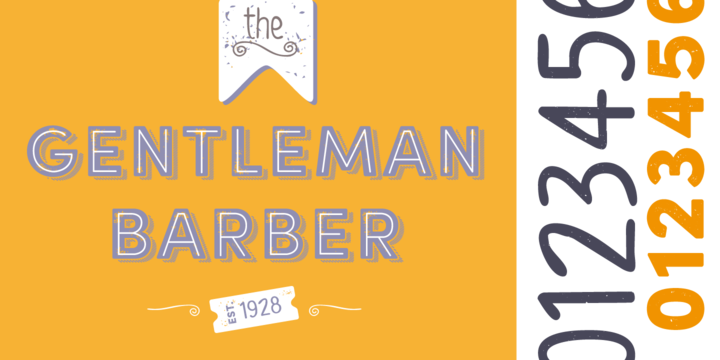 This geometric font is ideal for display, headline, poster, vintage projects etc. A font description published on Thursday, February 19th, 2015 in Fonts, Mostardesign, Olivier Gourvat by Alexandra that has 4,493 views.